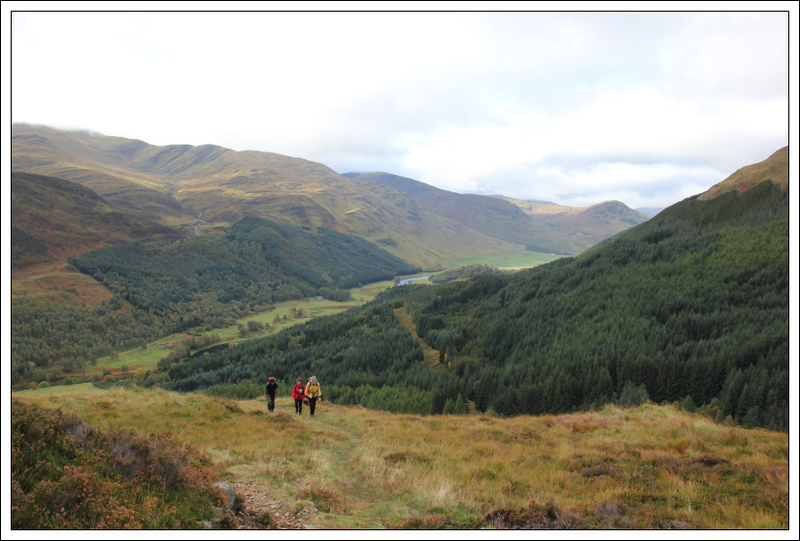 On Saturday morning Joe, Jake, Jane, Andy and I set out to walk the Carn Mairg horseshoe starting from and finishing at Invervar in Glen Lyon. 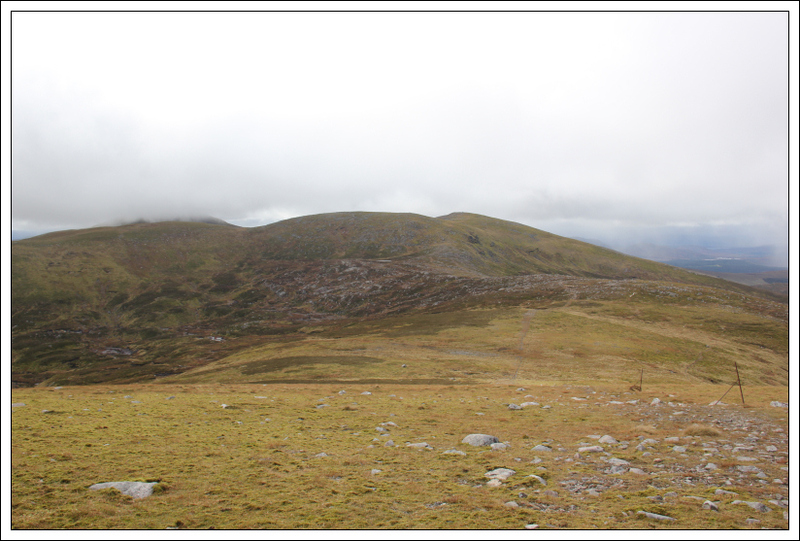 As well as ascending the four Munros - Meall na Aighean, Carn Mairg, Meall Garbh and Carn Gorm, I was also keen to ascend the three Munro tops – Meall Liath, Meall a’Bharr and An Sgorr. 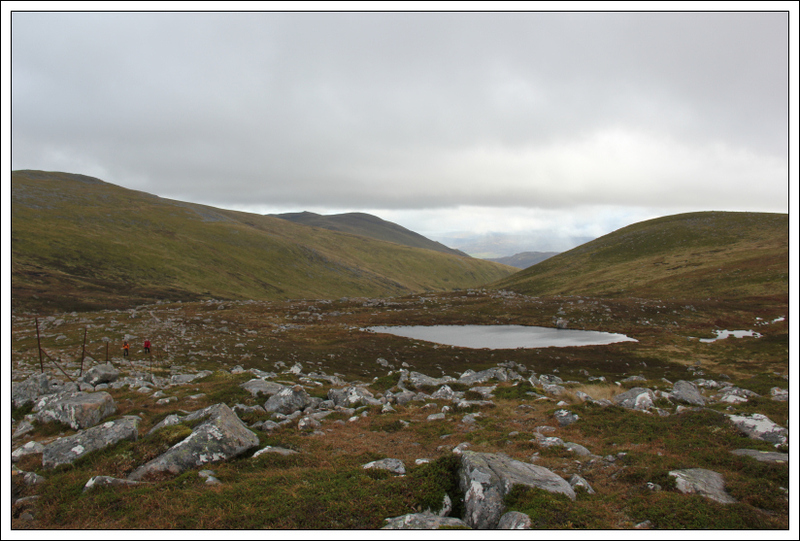 I last ascended these Munros in April 1997 when I undertook the horseshoe in a clockwise direction. 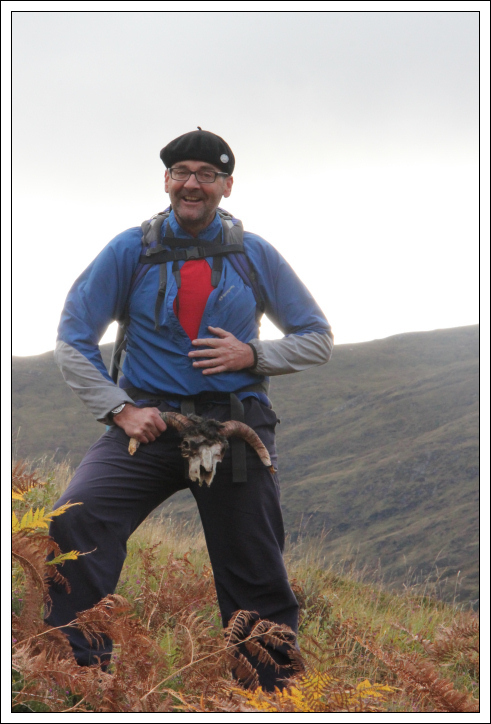 During the 1997 ascent, I ascended An Sgorr and Meall a’Bharr but did not ascend Meall Liath. We parked in the small car park in Invervar. 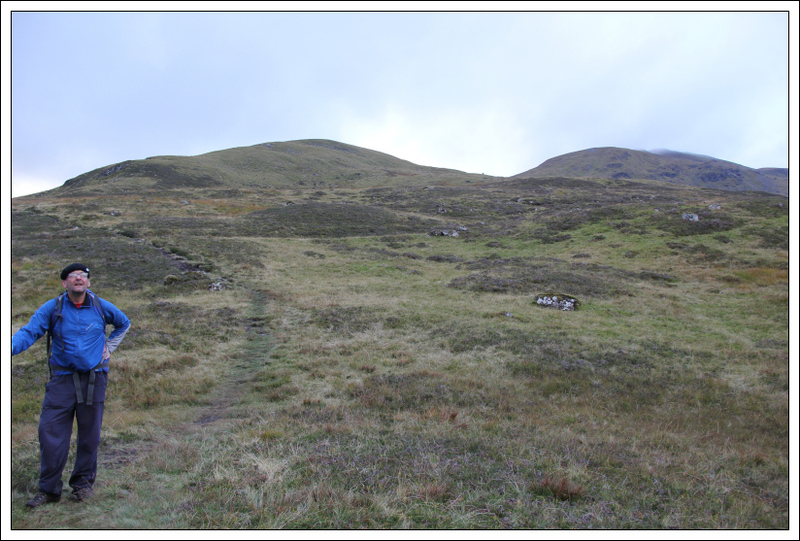 We were half-expecting to encounter problems with stalking as this area is renowned for access issues. On leaving the car park we were immediately met by a landrover asking where we were going. The conversation was pleasant and the estate had no problem with us undertaking the horseshoe providing we stuck to the ridge . 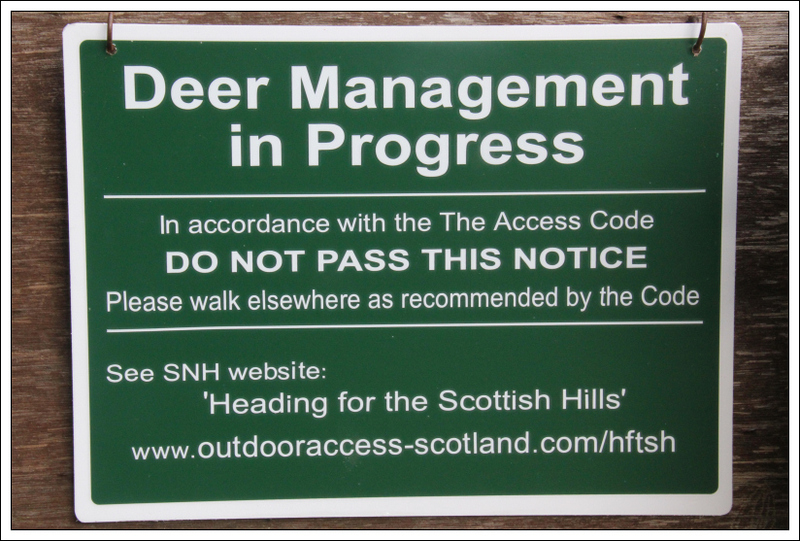 At the start of the walk we took a photo of the Deer Management sign. We decided to undertake the horseshoe in an anti-clockwise direction. 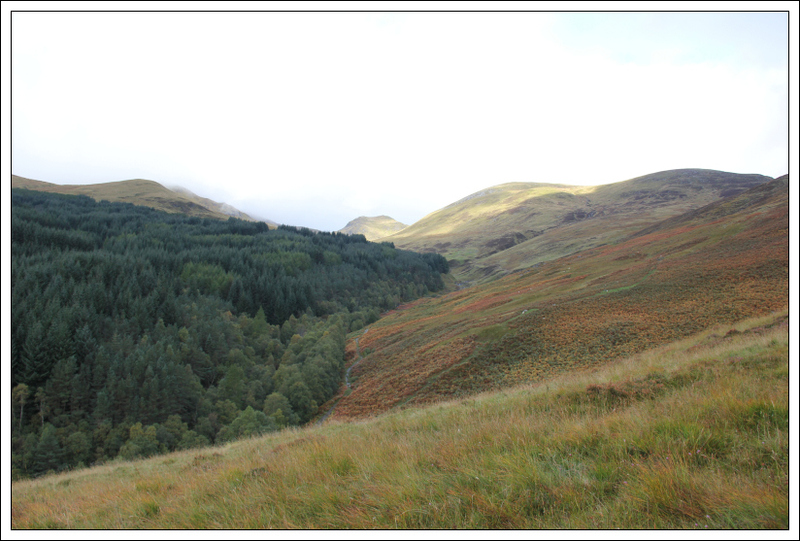 After walking along the track for circa 0.5km we took to the hillside via a path up through the bracken. A few minutes later Jake found a new sporran . 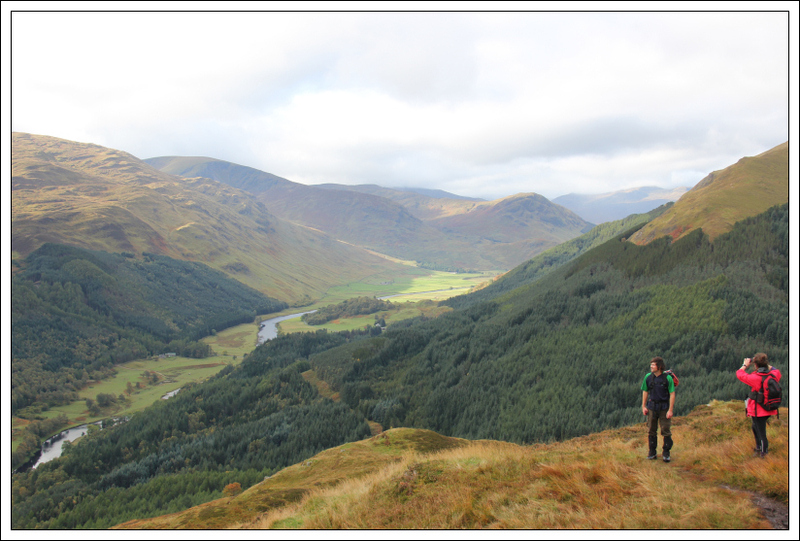 As we gained height we got increasingly good views of Glen Lyon. 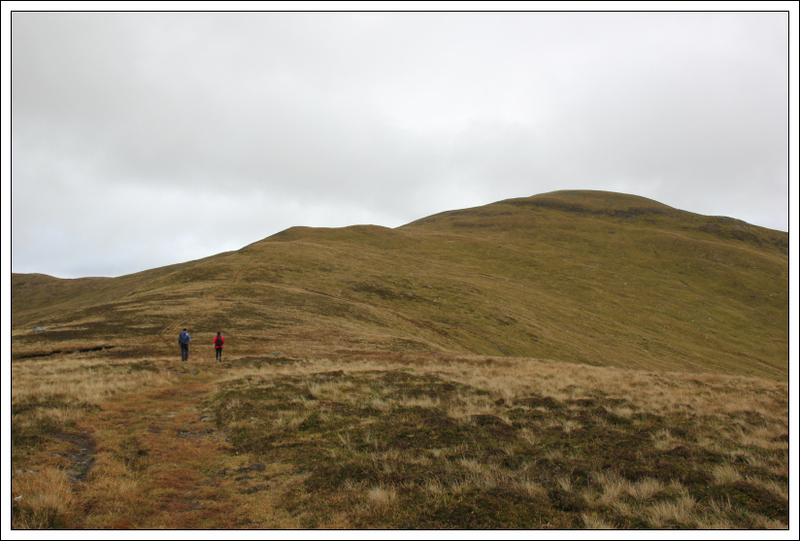 It was great to ascend these hills in good company. There was lots of banter and several jokes during the ascent. 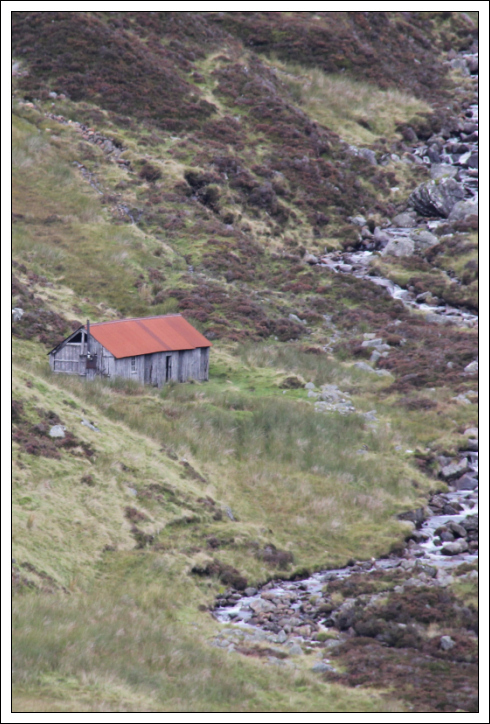 During the ascent we could see a bothy down in the glen. We initially made our way up to the 974m top. 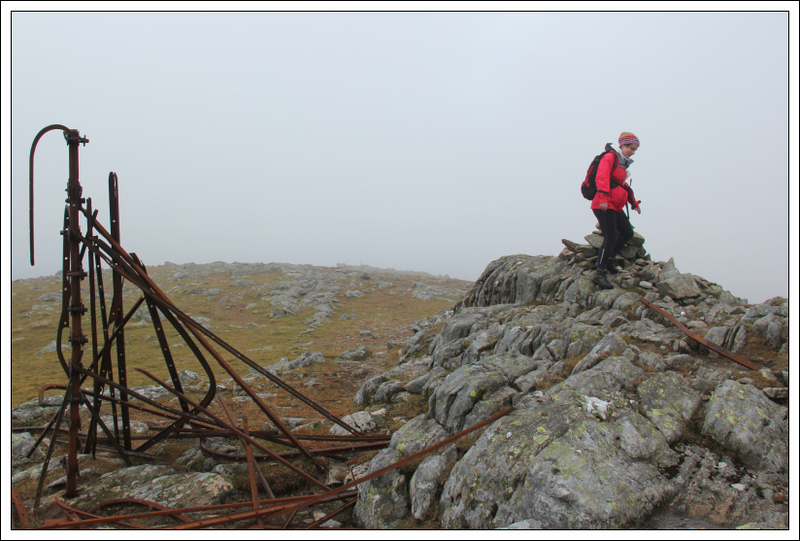 On reaching the 974m top we took a bearing to find the summit as the top was in low cloud. 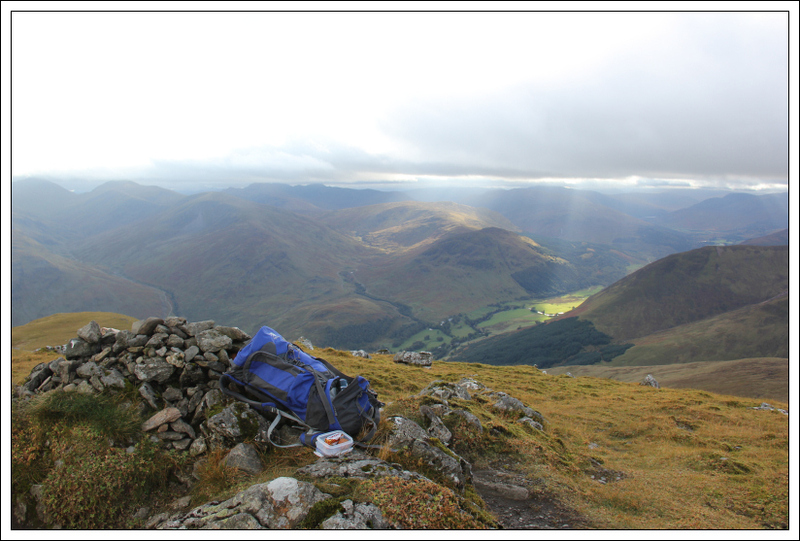 On reaching the summit, we took shelter behind the rock outcrop to have some lunch. 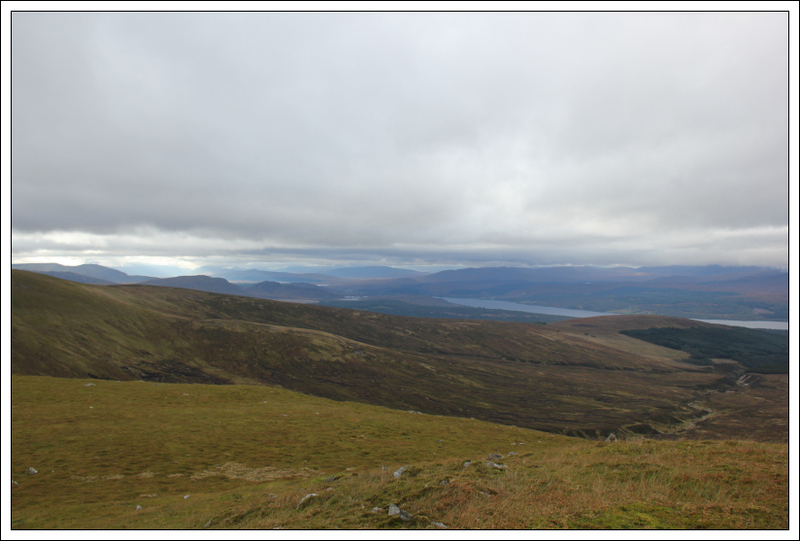 From Meall na Aighean, we made our way across towards Carn Mairg and Meall Liath. 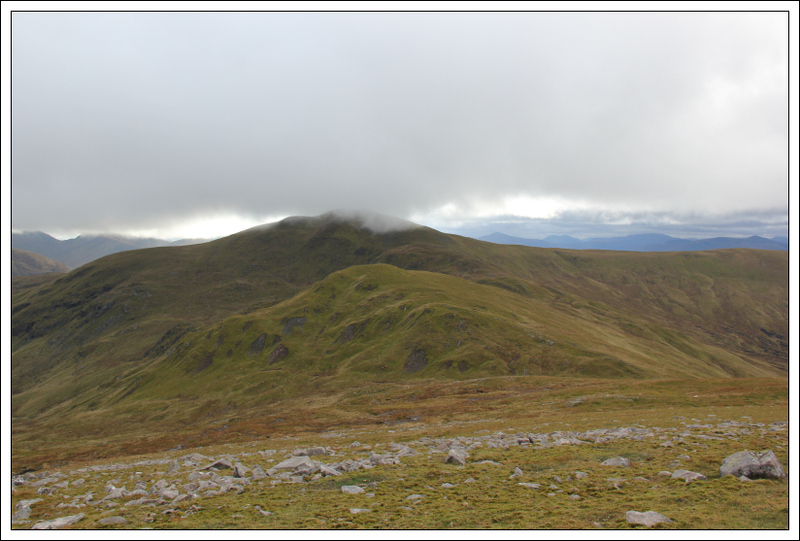 I was especially keen to ascend Meall Liath as I missed out this Munro Top during my previous ascent of these hills. 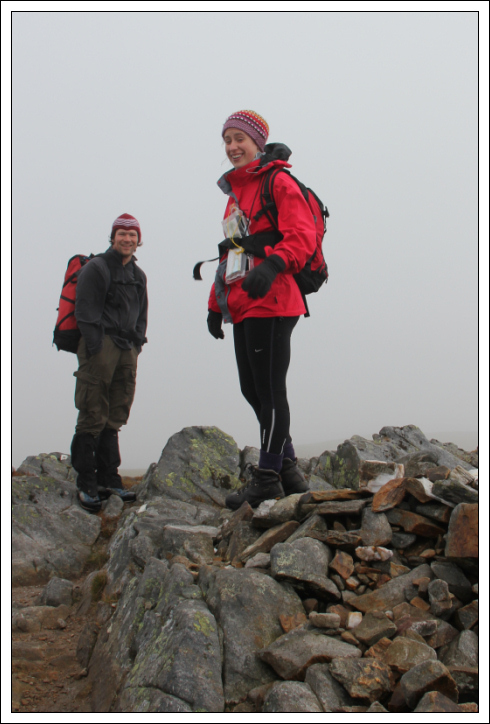 Joe, Jake and Jane also ascended Meall Liath. 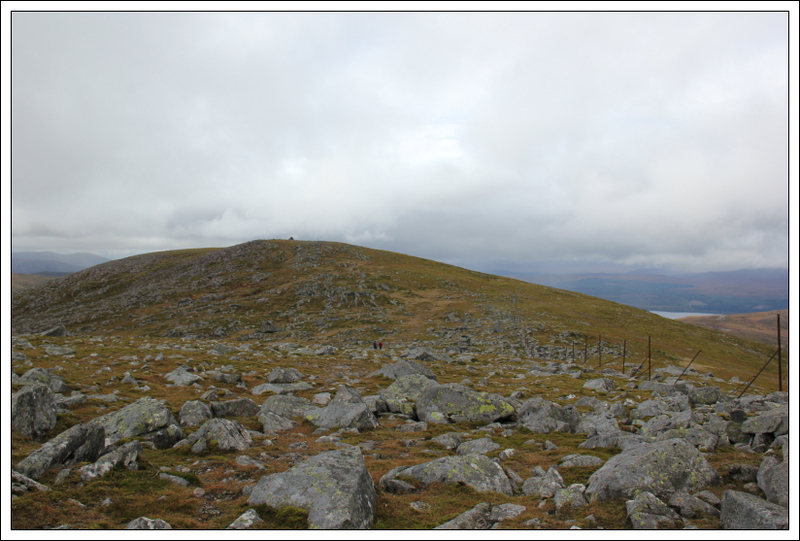 From Meall Liath, we next made our way across to Carn Mairg where we met back up with Andy. 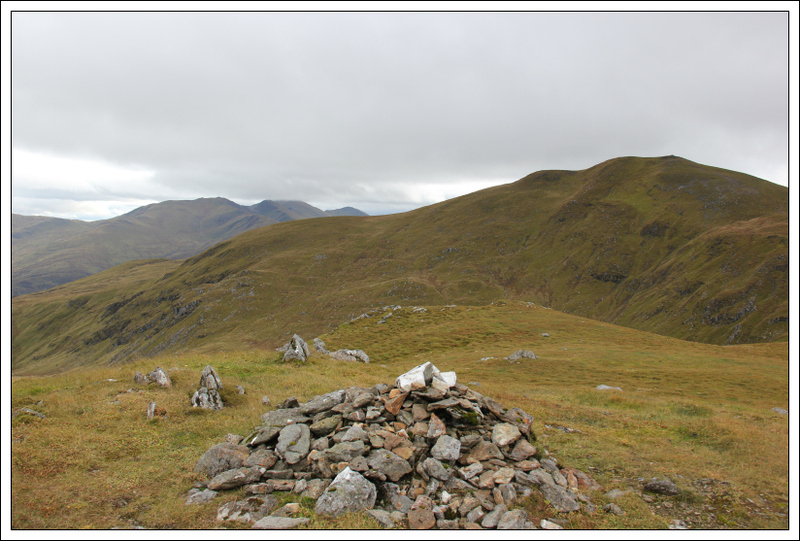 Near the summit of Carn Mairg there are two rock outcrops both of which looked about the same height as the summit cairn. We therefore also visited the top of the rock outcrops. 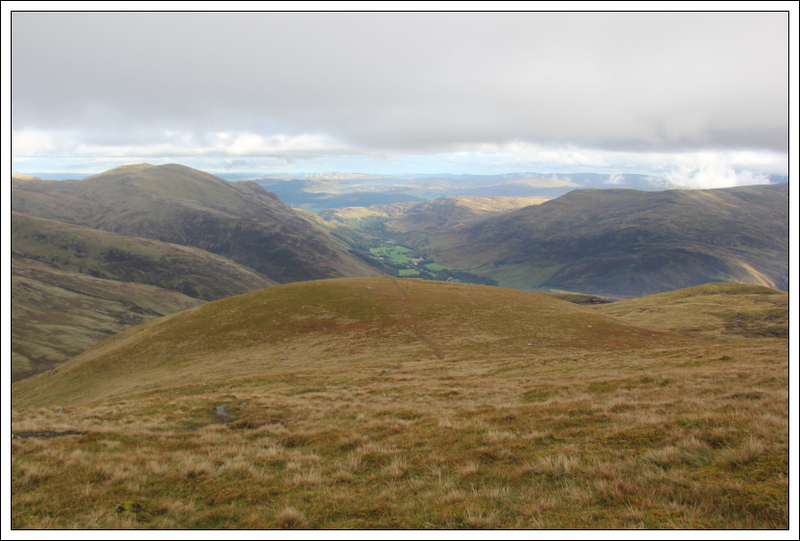 From Carn Mairg, we continued round the horseshoe towards Meall a’Bharr. On leaving the summit we met two men with seven dogs! 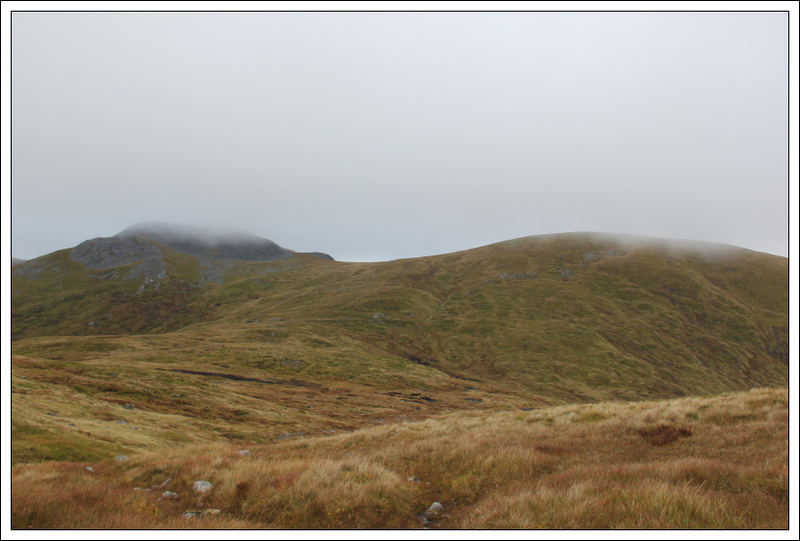 Near the summit of Meall a’Bharr, while I was stopped to take a photograph, I felt an unexpected severe pain in my hand. Someone decided to throw a rock but misdirected their throw such that it ended up smacking my hand. It was f*****g sore! I’m just glad it didn’t hit my head or my camera! After receiving numerous apologies we continued on. Monty Python sprang to mind except I was stoned without saying, “Jehovah, Jehovah, Jehovah ”. 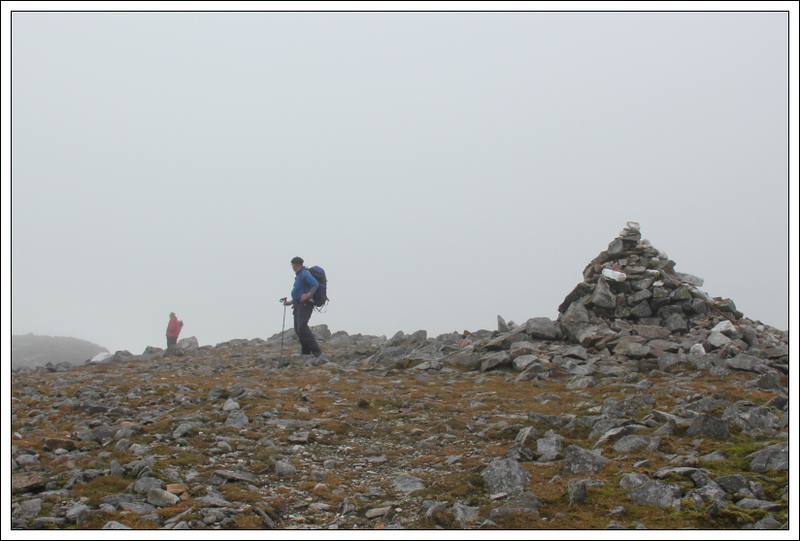 After reaching the summit of Meall a’Bharr, we continued round towards Meall Garbh. 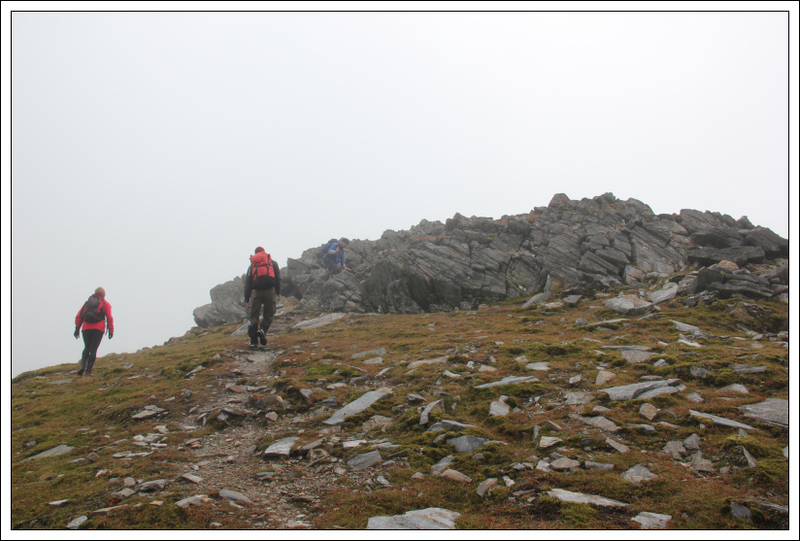 At the col between Meall Garbh and An Sgorr we parted company with Andy who decided to head down into the coire back to the car. 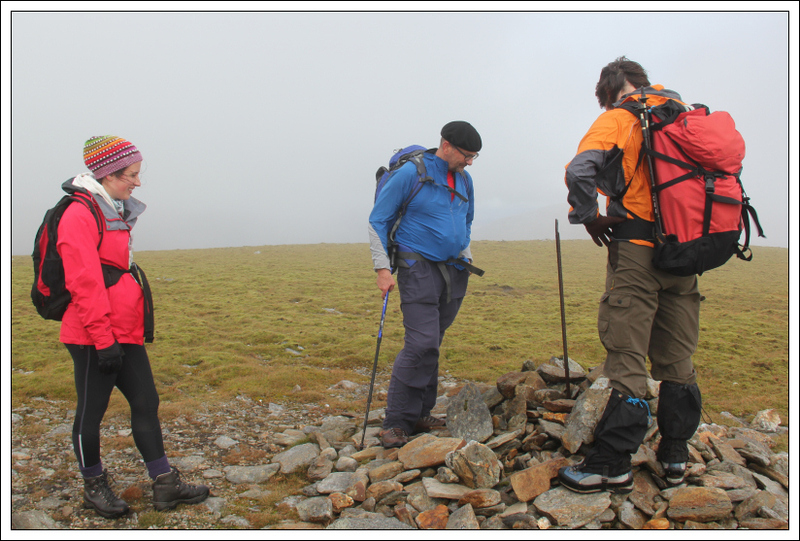 Joe, Jake, Jane and I continued on to ascend An Sgorr. 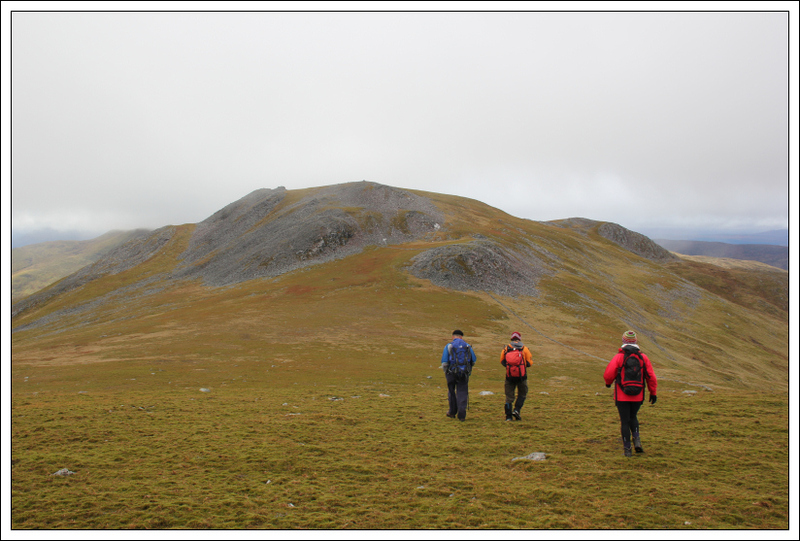 The ascent of An Sgorr was really easy – only 60m ascent to reach the summit. 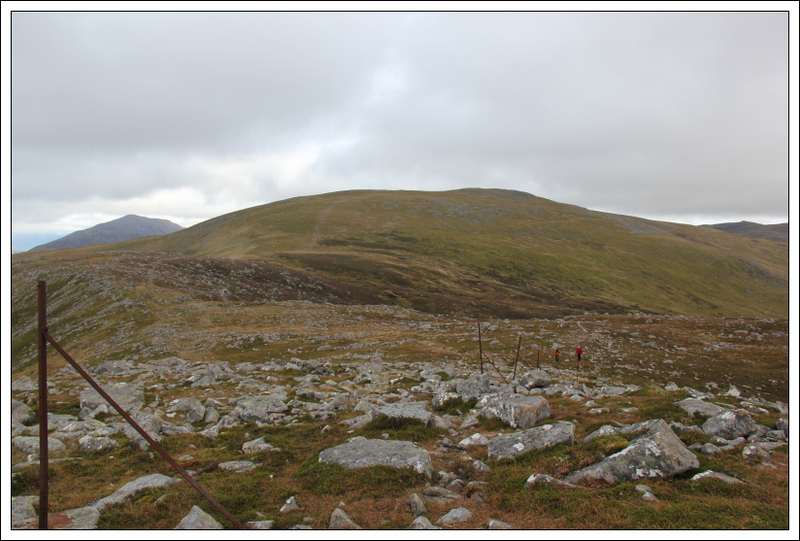 Finally, we made our way towards our final hill of the day, Carn Gorm. 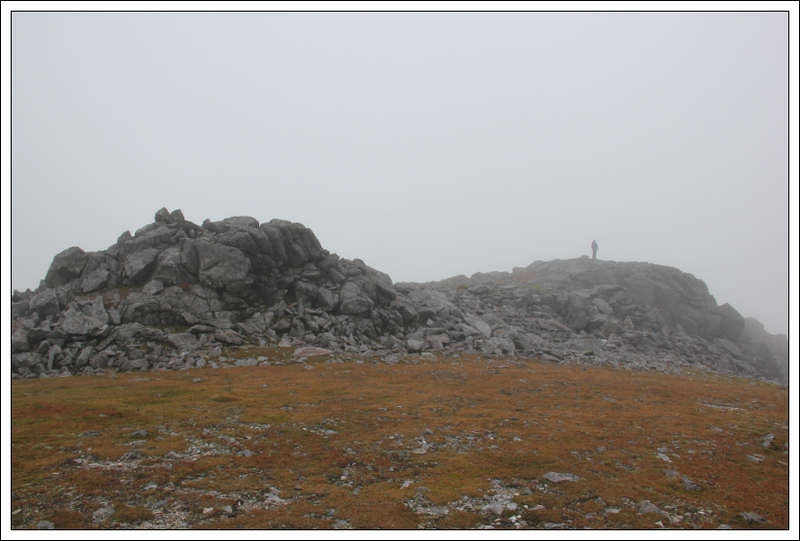 I was definitely starting to tire by the time I reached the summit of Carn Gorm. 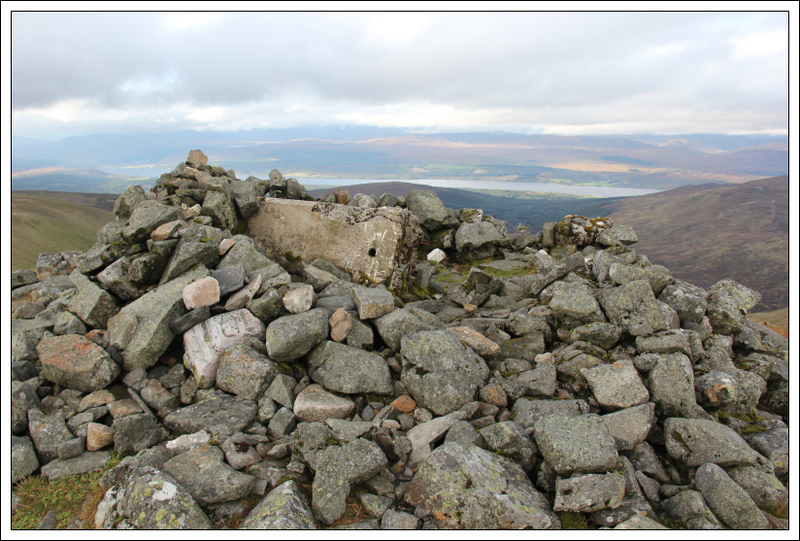 We initially visited the shelter and collapsed trig point before continuing on to the summit cairn/summit rock. 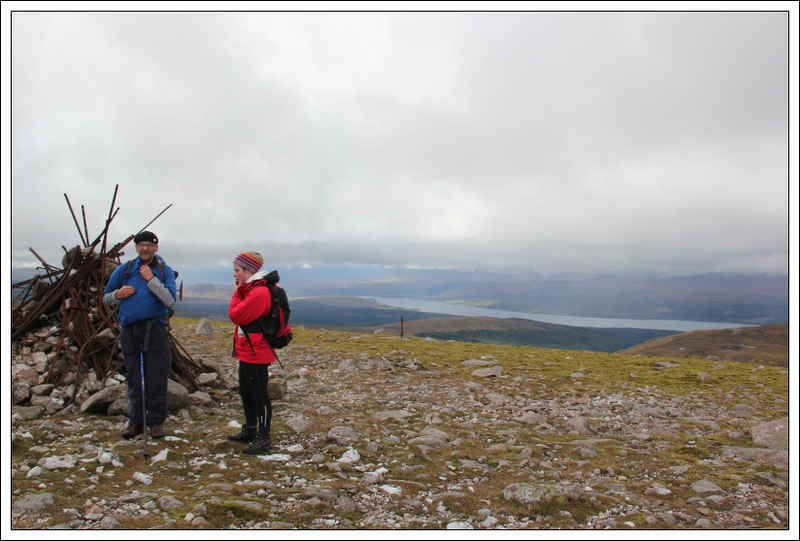 At the summit of Carn Gorm, we stopped for a bite to eat before making our descent back down to Glen Lyon. 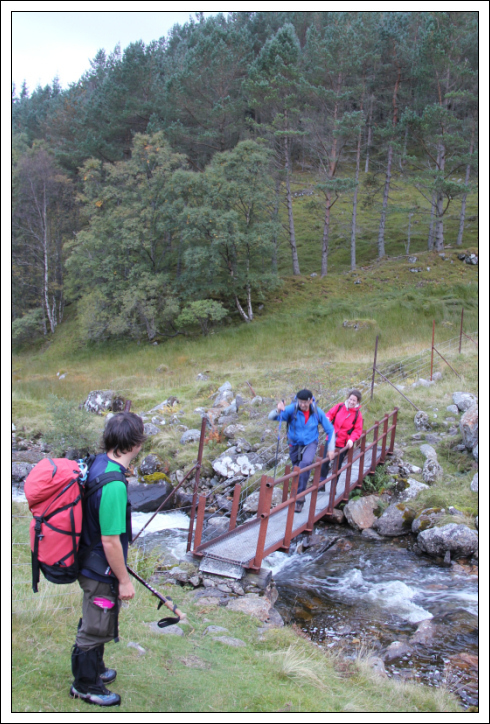 A really enjoyable walk in good company.